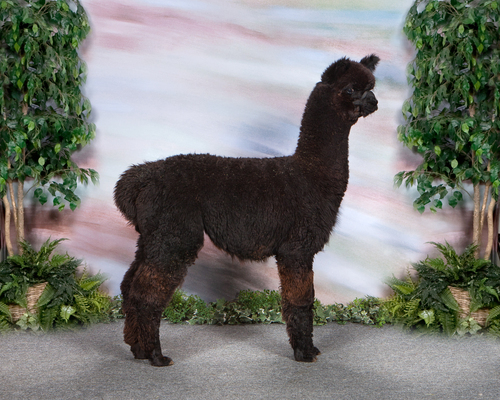 Crescent Moon's Tia is a beautiful light brown topped of with black points with wonderful conformation and fleece. Look at her beautiful typey head and "teddy bear" ears. 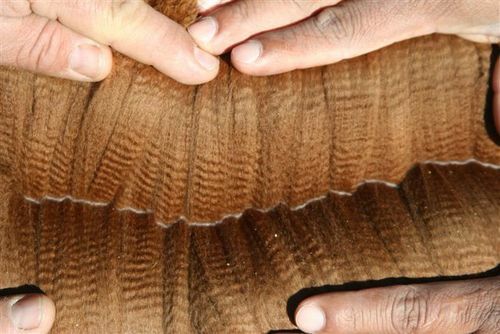 Gorgeous light brown fleece with great density. Tia is a lovely female. 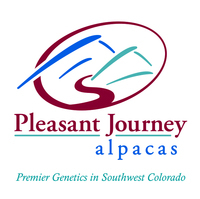 Tia is a Greener Pasture's Copenhagen daughter and brings the incredible genetics of Crescent Moon's Valentino, Danko and 4Peruvian Legacy to the mix. 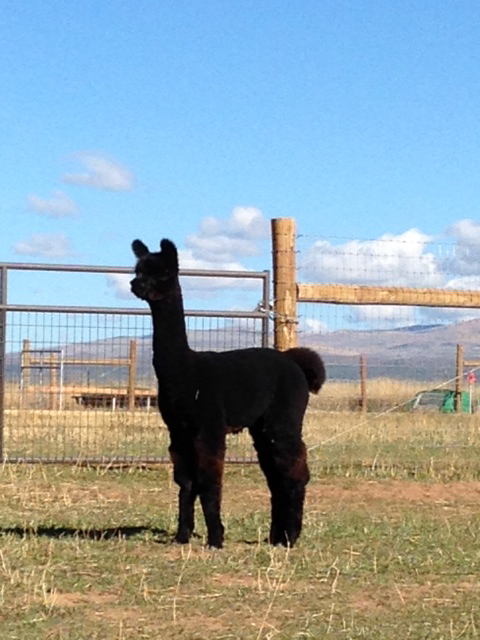 Tia gave us a handsome true black male on June 26, 2015, sired by none other than our NeverSummer's Manchester! It will be very fun watching this young guy grow up! 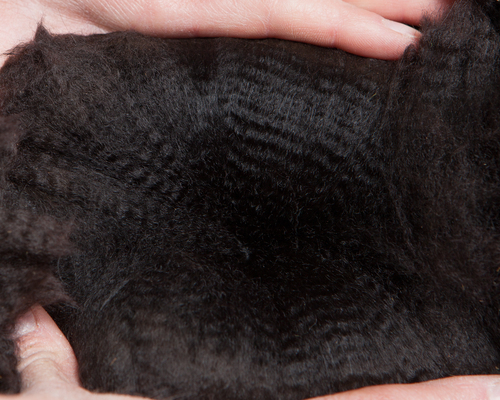 Baxter Black has amazing Crimp, Brightness and a very soft hand to his fleece. We like this pairing so much we have repeated the breeding and on August 12, 2016 little Tia Maria arrived! She is a stunning True Black female! Daughter PJA Tia Maria has had a wonderful fall 2017 show season winning 2 Color Champion banners and 2 Reserve Color Champion banners!!! 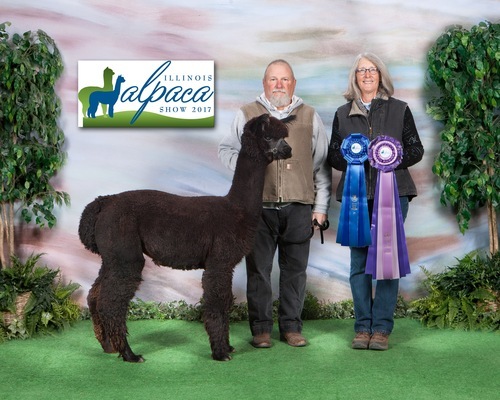 2018 show season started at TxOLAN and Tia Maria pulled a 1st place in class and Color Champion banner! 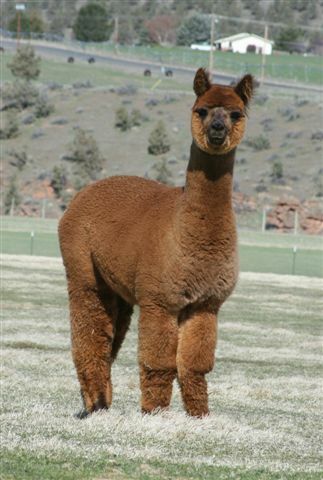 Cria #3 arrived 11/5/18 and she is a lovely light fawn girl! Watch this little one! !